Black flavoured tea „Black Berry”. 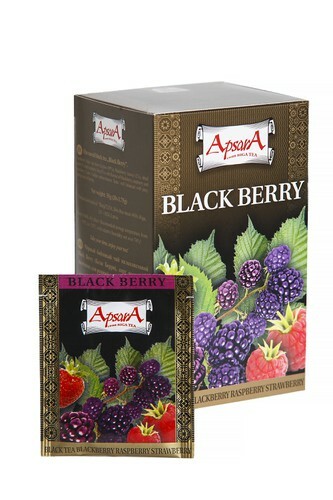 Ingredients: black tea from Ceylon, blackberry leaves, dried apple and raspberry bits with flavour of blackberry, raspberry and strawberry. Taste: well balanced with juicy tasting notes of berries. Features&recomendation with food: Invigorating, sweet softening. All kind of deserts and fruits. Product highligths: We wanted to make tasty, sweet and in a some time very fruity black tea for them, who appreciate. Teas are packed with highly sofisticated device, providing evey tea bag with a knoted string and tag. Envelopes are sealed for freshness and protection of tea.